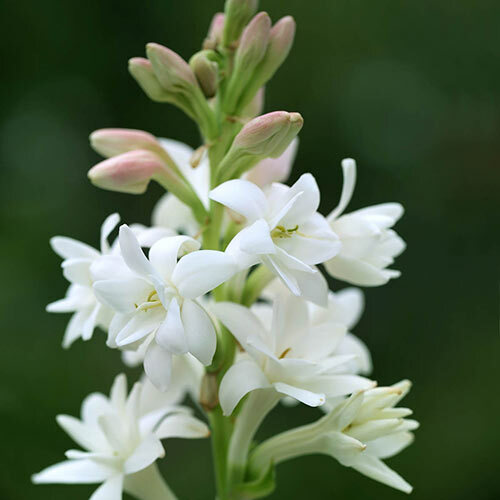 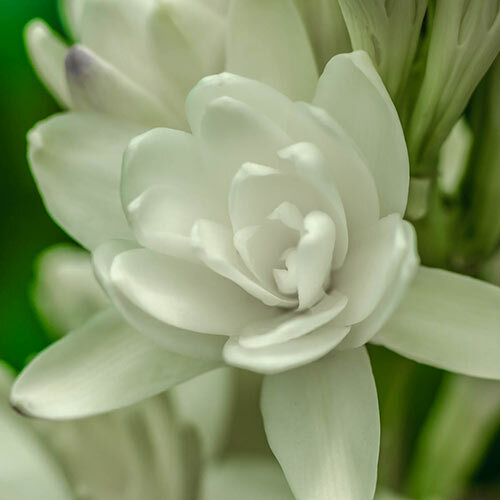 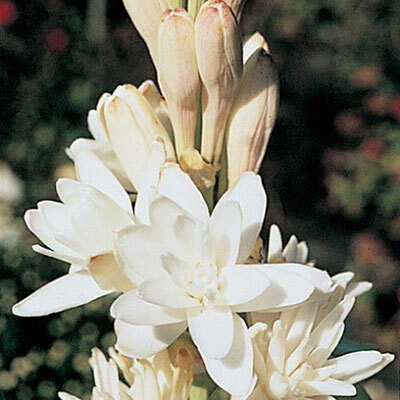 Double white, fragrant flowers emerge from soft pink buds. Ideal for floral arrangements. 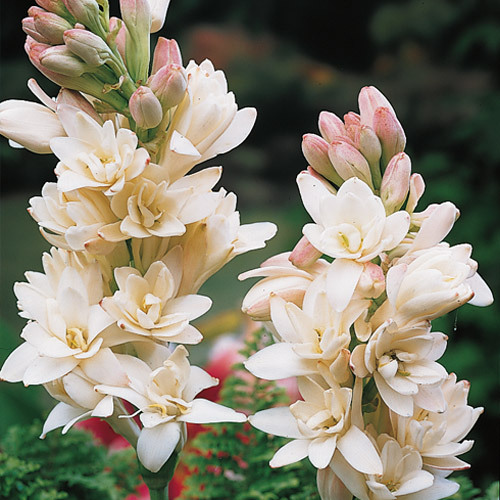 2" funnel-shaped double blooms in spike-like racemes.